The Houston Texans and the Miami Dolphins haven’t seen each other up close since 2015. That meeting turned into a lopsided victory for the Dolphins and it was also rock bottom point in that season for the Texans. The Dolphins, led by then running back Lamar Miller’s 236 total yards and two touchdowns, housed the Texans 44-26 at Sun Life Stadium. Now, though, Miller dons the red, white and blue of the Texans and will be a focal point for two teams that have shed many layers of team skin, if you will, since that October afternoon in 2015. Miller will see the Dolphins for the first time since he departed for Houston and that won’t be the only reunion on Thursday night as Brock Osweiler will lead the Dolphins offense for the third straight week. He threw for 380 yards and three touchdowns in a week six win over the Chicago Bears and 239 yards and two touchdowns in last week’s loss to the Lions. He may be without a couple of key weapons at receiver but he’s got some weapons in the passing game to utilize. With no further ado, let’s get to know the 2018 Miami Dolphins. Brock Osweiler went to Miami for an opportunity to team up with head coach Adam Gase who he worked with in Denver. When called upon to carry the mantle at quarterback after an injury to Ryan Tannehill, he’s done that and then some. The past two weeks, he’s thrown for 619 yards and five touchdowns. That’s as prolific a stretch as he’s ever had in his career. Similar to the way he stepped in for Peyton Manning in 2015 in Denver, he appears at ease and comfortable in the pocket, delivering the ball on time with accuracy. Now, pressure still unwinds him a bit. He has always been able to find yardage scrambling up the field but if the walls (i.e pass rush) close in on him the right way, he struggles to be accurate. 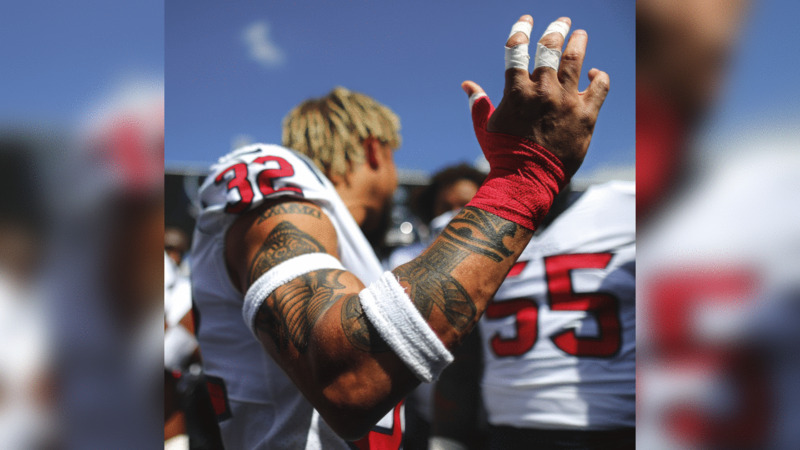 Furthermore, over the past two weeks, Miami receivers Albert Wilson and Kenny Stills caught three of his five touchdowns, but more than likely won’t suit up on Thursday night due to injuries. Now, that still leaves Danny Amendola who has always been a thorn in the side of the Texans when he played in New England. He’s the perfect tonic for Brock - an experienced outlet he can rely on when the pressure increases. For the Texans to win this game, they need for Brock to cool down, whether that’s by his own volition or the Texans forcing it to happen. The Miami Dolphins run defense the past two weeks has been shredded by two NFC North teams. Furthermore, the Bears and the Lions are probably best known for the ability to throw the pigskin around the yard more than pounding the rock. Yet, the Bears ran for 164 yards and the Lions ran for 248 yards as rookie Kerryon Johnson ran for a career-high 158 yards. I’ll do the math for you, that like a lot of yards in two weeks (412 to be exact), while playing both games at home. Both teams threw a bunch of formation bells and whistles at the Dolphins, but out of those sets, they just ran zone and power with nearly equal success. There’s not a ton of depth that the Dolphins rely upon in the front seven, unlike the Jacksonville Jaguars. The Texans ran through both defensive fronts equally well in Duval County last Sunday and must repeat that performance on Thursday night. On a short week, Miami on the road, just days after getting pushed around by Detroit, the Texans must exact the same punishment, if you will, with Lamar Miller and Alfred Blue taking charge in this one. It won’t rain on Thursday night, you know, roof being closed and all, but can Miami stand the proverbial running game rain that the Texans have shown they can create? If not, the Texans offense should have plenty of success.